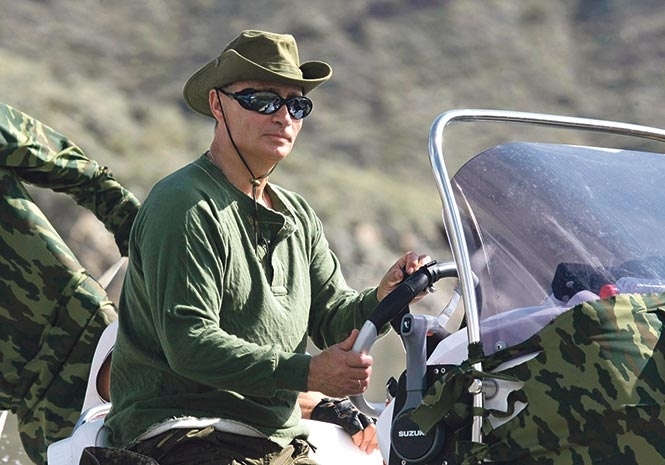 VLADIMIR PUTIN: A ‘gangster’ but unlikely to attack the West. NOT only is Vladimir Putin a gangster, he is actually your classic gangster. Both he and his henchmen are worth billions, and the general public of his domain consider him a hero. You don’t get more classic than that. Of course, that is where the resemblance ends. His operation makes the Capone, Gambino’s and Mafia Dons of yore look like pussies. However, in my opinion, through all this worrying new ‘cold war’ era I believe we can all console ourselves with one fact, Putin won’t attack the West, certainly not nuclear. Why would he? He earns a big chunk of his ill-gotten gains from the West. He’s not involved in all his skulduggery from a view of patriotism, or the old communistic ideals – heaven forbid. He’s in it purely for the power and the money. To take out the UK would be like Al Capone destroying Chicago. He definitely doesn’t want to terminate a golden egg layer of our magnitude. All that aside, I do truly believe that at this moment in time we are nearer to the ultimate holocaust than we have ever been – even during the Cuban missile crisis. At least in those days the USA and the USSR pulled most of the strings. Both of these powers were fairly stable and had reasonably sane leaders. Now they are all at it, and in my opinion a number are nowhere near stability. North Korea, run by a man/boy who thinks he’s playing video games. Iran, who probably have a few tucked away by now, is run by a fanatical regime, who have vowed to destroy Israel – also a nuclear power. India, in an uneasy and still precarious ‘truce’ with fellow nuclear power Pakistan. Saudi Arabia, threatening to develop nuclear weapons if Iran doesn’t halt its own programme (some chance), France mmm! The ever-unpredictable China. And, top of the bill, two megalomaniacs in the shape of Trump and Putin, who both think they are infallible. Sounds pretty volatile to me. Oh, I forgot about the good ‘ol UK. Well I wouldn’t worry too much about us. If Corbyn gets elected we’ll all be sheltering behind our CND badges. Perhaps that means they’ll leave the UK alone? Ha ha! Good luck all! As most of you know, I have always believed in free speech. Thank the Lord I write for a publication that, although it may not always agree with my views, also considers free speech a human right! I have always been a firm believer that if it ever came to being prevented from speaking the truth because it may ‘offend’ somebody, would mean we had either succumbed to the yolk of fascism or were finally being run by a bunch of lily livered leaders running totally scared. Well, try speaking out in the UK these days and you can take your pick! hope putin does not rub you out. careful with your coffee….ha ha.